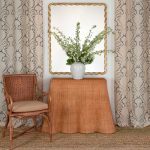 The Ripple Console is a cane framed table with exquisitely woven rattan contours that take the form of stylized draped linen. The console is entirely hand-made by our skilled weavers at Soane's rattan workshop in Leicestershire. 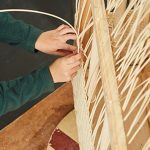 To learn more about rattan weaving at our Leicestershire workshop please click here. 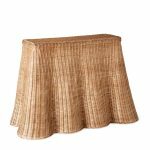 A console table with 4 ripples in hand woven rattan. 780mm height x 475mm depth x 1170mm width. 30Â¾" height x 18Â¾" depth x 46" width. 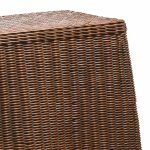 I would like to request a sample of The Rattan Ripple Console - Medium. 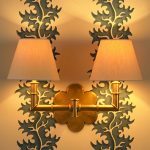 Please enter your details below.